Boasting 100% employment rates, our course is an ideal route to technical careers in live events. You’ll learn from industry experienced tutors in our dedicated facilities with world-class equipment. One of the leading courses of its kind in the country, this degree prepares you for a technical career in the pulsating world of live events. Our foundation year route is a smart move if you feel you are not quite ready to join the honours degree directly. Our BSc (Hons) Sound, Light and Live Event Technology is an engineering centred but practical-based course for anyone keen to embark on a career in the events industry. It is also ideal for professionals who have experience in the sector but want a deeper understanding of the theory, along with a recognised qualification. An excellent choice for anyone who lacks the entry requirements to join the full honours degree immediately, the BSc (Hons) Sound, Light and Live Event Technology with Foundation Year will help you build your skills, knowledge and confidence. Taking a foundation year first is also a great option if you have changed your mind about your career since you chose your A-levels or BTECs and need to improve your skills in a different subject area. The foundation year gives you a solid introduction to subjects such as electrical and electronic principles and event and media technology. You will also gain the scholarship skills for technologists that you need to study at honours degree level. From day one, you will enjoy all the benefits of being a University of Derby student, plus extra support to help you make a smooth transition to the first stage of the honours degree. This degree covers a broad range of subjects – from lighting technology, audio engineering, video systems, power distribution and rigging to electronics, computing, acoustics, computer aided design and simulation. You will learn both the theory and practice relating to the underlying technologies and will develop hands-on skills by planning and delivering real live events. We offer an optional industrial year as part of this degree to give you further practical experience and to strengthen your CV. As this is an engineering course, you will study 'how it works' – learning about the underlying mathematics and electronics in our electronics and computing laboratories. You will also learn ‘how to work it’ - developing professional skills in lighting design, sound engineering and event management, with practice in our dedicated production space and in venues around the city. We offer industry-standard equipment and you can get to grips with the latest technology, thanks to our links with AC Entertainment Technology Ltd.
Our Sound and Light graduates are highly sought-after in the events industry. The careful blend of theory and practice underpinning this degree will boost your employability and professional status. 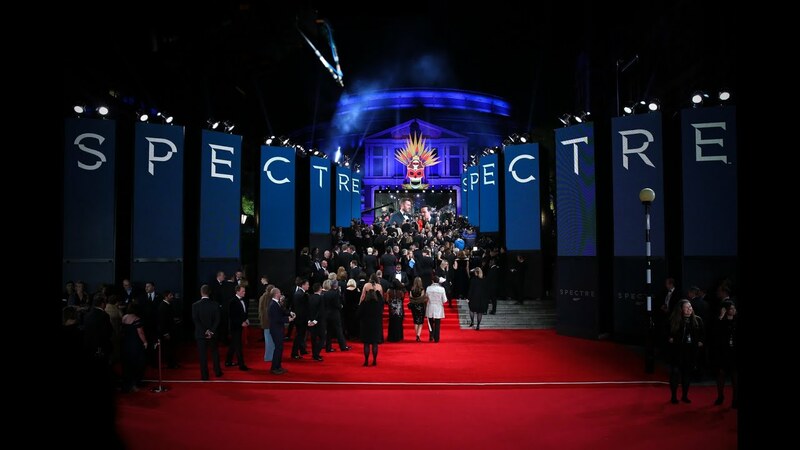 In one of many success stories, the World Premiere of the James Bond film, Spectre, saw no fewer than eight Sound, Light and Live Event Technology graduates working on the production at the Royal Albert Hall in London. Tom Denny and Alex Huggins worked on lighting for the Limited Edition production company. Impact Production Services provided the staging and structures, with graduates Ben Hawkes, Ian Brown, Ben Coxon and James Coghlan on their team.‌ Meanwhile Anna Valley displays had George Easey and Ben Thurston working on video wall systems. Another high-flying graduate is Tom Ralston, who has worked as Project Manager for many international events involving stars such as Justin Bieber, One Direction and Lionel Ritchie in the Middle East. Tom also won a major award in the Middle East's premiere event industry show in Dubai. You will have the opportunity to take an optional work placement between stages two and three, during which you will gain an additional qualification, the Diploma in Professional Practice. In addition, you will benefit from guest lectures, product demonstrations and venue visits. Many of our students also take on casual work with production and hire companies in the area, adding a new dimension to their real world learning experiences. You will be assessed through laboratory and practical exercises, written reports and exams. You will also work on group projects, including venue and event evaluations, and will be assessed on the concerts and productions you manage and create. We have an excellent employment track record and our graduates work in all areas of the entertainment industry. You could work as an engineer at a hire or production company - specifying, designing and operating sound, lighting, staging and video systems - or as a theatre technical manager. Many of our graduates work as a freelance engineers or set up their own businesses. Some graduates also progress to roles in design and manufacturing, media, broadcasting, acoustics, technical sales and support, education and event technology. There are opportunities to advance to postgraduate studies too. Basic starter kit of CDs etc.